Is Nintendo's paid service worth it? The Nintendo Switch Online service has been a new move for Nintendo: a paid subscription service in the vein of Xbox Live or PlayStation Plus, which offers a host of online benefits for those who sign up to the service. This is Nintendo's first paid online service, though the basic $3.99 (£3.49 / AU$5.95) per month subscription is a far amount below Xbox Live or Playstation Plus. 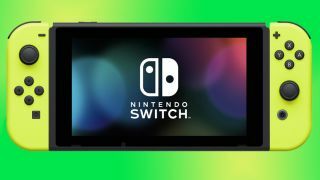 Although Nintendo Switch Online only launched in late 2018, and is still being fleshed out, a growing roster of games and features is making the service look increasingly necessary for any committed Switch owner. But what exactly does Nintendo Switch Online give players that they don’t have already? If you don't sign up to the service, you can still play all your single-player or offline Switch games to your heart's content: you don't need it to play Breath of the Wild, or for playing local multiplayer with friends in your living room. But many players will want a Nintendo Switch Online subscription to get the most out of their purchases. Sadly there are still no dedicated servers, so players will have to make do with less reliable P2P (peer to peer) hosting for online matches. On the upside, free-to-play online games like Fortnite, Paladins, or Warframe don't require a paid subscription to the service. Or, if you're after the swag, there's a members-only outfit for use in Splatoon 2, and the ability to buy Nintendo’s wireless NES controllers for playing those retro games in style. Each title is 'remastered' in 4:3 HD, but with the option to play in a more 'authentic' arcade viewing mode with a 'CRT' (Cathode Ray Tube) style display. These are being followed by two or three additional titles each month – see the box, right – which we're sure will include games from more recent consoles like the SNES, N64, and (god-willing) the GameCube down the line. Custom button mapping is absent, so you are stuck using the A and B buttons the wrong way round from an actual NES controller – unless you buy Nintendo's wireless NES controllers, which are only available for sale for Nintendo Switch Online members. This is in keeping with the save data on Sony's Playstation Plus program, though any Xbox One owner can access cloud saving for free. If your Nintendo Switch Online subscription lapses, your save files are protected for up to six months before they vanish from the cloud. While Nintendo Switch Online's cloud saving will be enabled by default for most titles, developers can choose to opt out to prevent online cheating – since reloading an old save file could restore items someone had traded to another player, or even reset their online ranking. Games like Splatoon 2, FIFA 19, and Pokemon Let's Go games are all missing the feature – so once you've traded that Eevee, there's no reloading an old save. There's naturally a seven-day trial to sample the online wares before you buy – while subscribers to subscribers to Amazon Prime can claim up to 12 months of Nintendo Switch Online for free. On price alone Nintendo Switch Online is the winner, though its limited features and lack of dedicated servers currently don't match up to competing services. But if you own a Switch, it may be what you need to get the most out of the console.